What is an idiom? An idiom is a phrase or description that has a different meaning than what the words actually say. 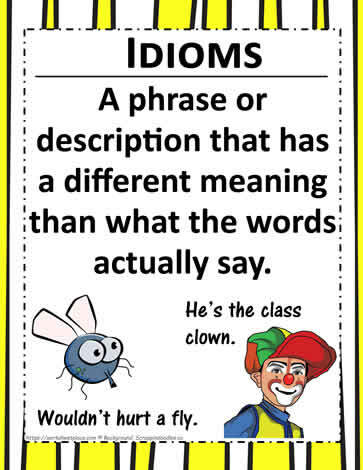 A classroom poster for idioms. An example of an idiom is: go break a leg which actually means, Good Luck!